Bachelorette star Ryan Sutter recently announced that he will run the 2012 Boston Marathon to raise money for Grassroot Soccer on behalf of friend and Survivor: Africa winner Ethan Zohn. Zohn recently completed his second stem cell transplant for a rare form of cancer, CD20 positive Hodgkin’s Lymphoma. Zohn is a co-founder of Grassroot Soccer, an international non-profit that uses the power of soccer to educate, inspire and empower communities to stop the spread of HIV. Sutter was inspired to run after Zohn told him he’d be entering the “bubble,” a hyper-sanitized hospital room, for four weeks of isolation as his stem cells were replaced with those of a donor match. Zohn, who ran the 2011 NYC Marathon while undergoing his first treatment for Hodgkin’s Lymphoma, has long wanted to tackle the Boston Marathon, one of the world’s greatest road races. 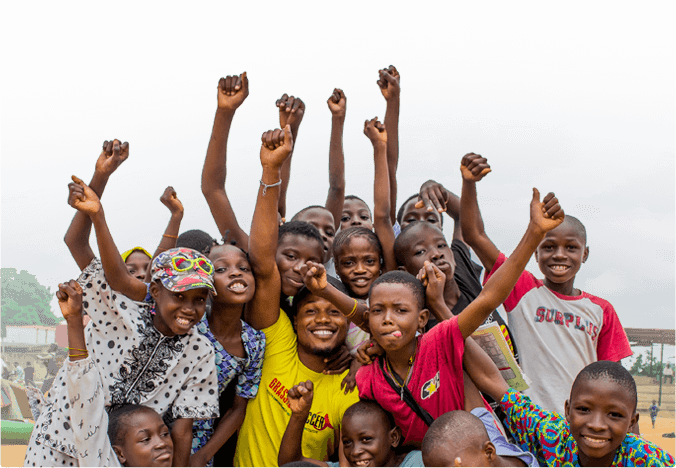 Sutter is shooting to raise $5,000 on behalf of Grassroot Soccer and Zohn – money that will make a significant impact in the lives of African youth by empowering them with the knowledge and skills to make healthy decisions. Grassroot Soccer is a select non-profit partner in John Hancock’s Boston Marathon Non-Profit Program. Grassroot Soccer’s various Marathon Teams have raised over $500,000 dollars for HIV and AIDS prevention education for youth in Africa. This year’s Grassroot Soccer Boston Marathon Team is aiming to raise $20,000 to educate, test and treat 800 youths in Africa. Each year John Hancock donates guaranteed entries to select nonprofits, like Grassroot Soccer, which use these entries to recruit individual runners to raise money for their cause. Last year, John Hancock charity runners raised more than $5.3 million for over 90 different organizations. Sutter is raising money for Grassroot Soccer online through CrowdRise.com: http://www.crowdrise.com/TeamGrassrootBoston/fundraiser/ryansutter1. Supporters can also send funds to Grassroot Soccer directly by mailing to PO Box 712, Norwich, VT 05055. Sutter and the rest of the Grassroot Soccer Boston Marathon Team will be wearing 2XU technical compression garments in this year’s race. 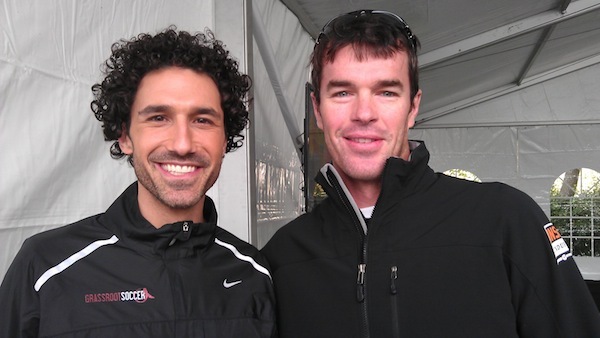 Ethan Zohn is a co-founder of Grassroot Soccer and is responsible for oversight of our US project, including corporate sponsor cultivation and technical program management. In 2002, Ethan was the winner of CBS’s television program ‘Survivor Africa’, and he works to harness his celebrity for the benefit of Grassroot Soccer. Ethan is a graduate of Vassar College, and he has played and coached soccer professionally in Zimbabwe, the United States, and as a member of the US National team for the 1997 and 2001 Maccabiah Games in Israel and 2004 Pan-American Maccabiah Games in Chile. In recognition for his work Ethan was awarded the 2004 Nkosi Johnson Community Spirit Award by the International Association of Physicians in AIDS Care, the Heroes Among Us Award from the Boston Celtics and the Massachusetts State Health Department, and the Auxilia Chimusoro Award from the US State Department in Zimbabwe. In August 2008, Ethan embarked on a record-breaking 550-mile journey on foot from Boston, MA to Washington, D.C., dribbling a soccer ball the entire route, to raise money and build awareness for GRS. The 116th Boston Marathon will take place on Monday, April 16, 2012. Nearly 27,000 runners will start the race at Hopkinton and run the 26.2-mile route through Ashland, Framingham, Natick, Wellesley, Newton, Brookline, and Boston. John Hancock has been the principal sponsor of the Boston Marathon for 27 years. Each year John Hancock donates guaranteed entries to select nonprofits, which use these entries to recruit individual runners to raise money for their cause. Last year, John Hancock nonprofit runners raised $5.3 million for over 90 different organizations. The Company’s continued support of the Boston Athletic Association, which has directed the race since 1897, ensures that the race will continue to be a world-class event and an important facet of Boston’s culture and heritage. The Boston Marathon ranks behind only the Super Bowl as the largest single day sporting event in the world (in terms of media coverage). More than 1,100 media members, representing more than 250 outlets, receive credentials annually. Approximately 500,000 spectators line the 26.2-mile course annually, making the Marathon New England’s most widely viewed sporting event, according to estimates by police and public safety officials from the eight cities and towns along the route.